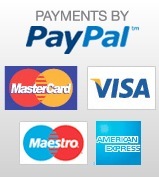 This item is OUT OF STOCK until January 2015. 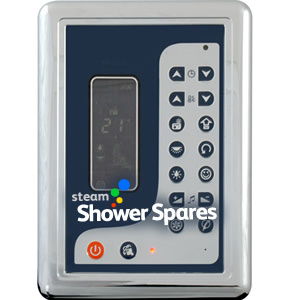 If you wish to be advised when the item is available again, please email us at : enquiries@steamshowerspares.com Thank you. TR002Y-1 Electronic Control Pad for replacement in Steam Showers. Enables control of Steam timer, Lights, Fan, Radio station/volume, Ozone etc. Fitting of this item is as simple as removing the 4 fixingbolts holding the pad in place and pushing the pad into the shower cabin fromthe rear of the shower. Clean the area of any silicone used to provide waterprotection, apply a new bead of sealant to bed the pad into, place the pad inposition, re-fasten the bolts and connect the data lead. Clean up any excesssealant and power the system back up. If you wish to upgrade your control pad to a later generation, then you MUSTpurchase a corresponding steam generator system. This may require modificationto the tower panel of your shower to house the control pad that may be aslightly different shape or size.